Hormones are what makes our body’s processes work like a well oiled machine. When one of the many hormones suddenly gets disrupted whether it shoots up or goes down, we’ll see and feel the effects of it. Similarly, the lifestyle that we have can either make things better or it can also make things worst. In today’s episode, we’ll talk exactly about how these two factors play an important role in our brain health. Donny Osmond:	Hi. 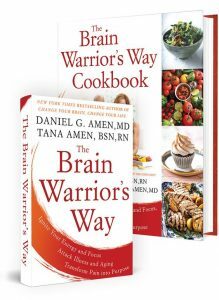 I'm Donny Osmond and welcome to The Brain Warrior's Way, hosted by my friends Daniel and Tana Amen. Now, in this podcast you're gonna learn that the war for your health is won between your ears. That's right. If you're ready to be sharper and have better memory, mood, energy and focus, well then, stay with us. Here are Daniel and Tana Amen. Doctor Christin:	Hello, Dr. Amen, Dr. Christine [Mcllwain 00:00:31]. You were talking in your program about balancing your hormones through lab work. And so, I don't know if this is hearsay or what, but is there a link with estrogen levels and getting cancer 'cause they say we have cancer cells in our body? So, on that note, do you do bio identical hormones or how do you correct your lab work once you find out what you're deficient in? 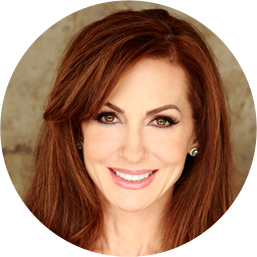 Dr. Daniel Amen:	You know, hormones are so important and if they are not right, you won't feel right. And there are a number of brain imaging studies that show as a woman goes through menopause, if she's not taking estrogen, the area in the brain that first dies in Alzheimer's Disease, actually becomes more sleepy and sluggish. But it's not simple because you can't just give everybody estrogen because some people that are prone to certain kinds of cancers, like breast cancer, are more likely to get breast cancer on hormone replacement. So, you have to be very careful. Now, the cancer studies are actually not done with bio identical hormones. They're done with the horse estrogens, so the jury's really still out on the bioidentical hormones, but I always think you have to be smart and be careful anyways. And my first thought to balance your hormones is to balance your diet, get you to exercise. I talked about it in the show, so testosterone, for example. If you get a sugar burst, it drops your testosterone level by 25%. I always say, I said in one of my shows, if you go the restaurant and share the cheesecake, nobody gets dessert when you get home because testosterone's totally involved with libido. And exercise boosts your hormone levels. I think the most important thing is find out where you are and then to work with an expert who spends their day helping to balance your hormones. Now, at our clinic, we don't do that. I mean, we'll test them and then we'll send you to someone who that's their level of expertise. But if you don't have cancer in your family, I often think getting your estrogen, progesterone to a healthy level, helps your brain work better, certainly what we've seen on scan. Doctor Christin:	... lab work done there? Doctor Christin:	Okay. Thank you, Doctor. 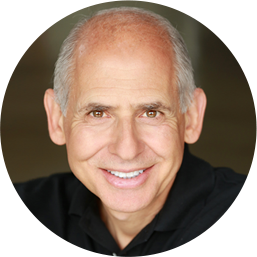 Dr. Daniel Amen:	Thank you. Sue Engebretson:	Hi Dr. Amen. My name is Sue [Engabretson 00:02:52]. I'm a holistic health coach and I help people transition from chronic illness to chronic wellness. So, what do you say to patients who firmly believe and are even told by their doctors that chronic illness is something, like, some cosmic event that happens that they have no control over, like lifestyle, activities don't have any effect? Dr. Daniel Amen:	Often it's their lifestyle that got them there, and if that's true, three medications is not getting them out of it. You gotta change your lifestyle to do that. I think some of us are more vulnerable, whether it's environmental toxins or stress. If you want to have your best chance at being well, you have to make the right decisions to do that. That includes what you eat and people, you know, the same little lies. Good food is expensive, and in my mind, it's like, the cheapest food is the most expensive, right, because it's filled with bad things that make you sick. And you always want to know what the things you eat, ate, because you're eating it, too, right? And I think so many of my patients with Fibromyalgia have an underlying depression that no one's got, and they're allergic to something. When you decrease their food allergies, treat their depression, not necessarily with medicine. Although, if the supplements and lifestyle things don't work, I'll give them medicine because you heard me talk about how serious depression is and how it sets you up for all sorts of other bad illnesses. Dr. Daniel Amen:	You're welcome. Adele Naronia:	Hi Dr. Amen. I'm [Adele Naronia 00:04:29], and I'm one of those women with estrogen positive breast cancer and on medication to keep any estrogen I have, bound up so it doesn't affect any cancer cells that are going around. How is that affecting my body and what can I do to keep me going? Dr. Daniel Amen:	Okay. So, really important question. So, their actually decreasing your estrogen to protect you. Now, as we talked in the show, there are many ways to keep your brain healthy, so because you are more vulnerable with less estrogen, you have to do the other things that you can do. So, for example, a lot of people go, "Well, look at all the studies saying that alcohol is good for you," and there is evidence that it actually decreases heart disease. There's so many other ways that are not toxic for your brain to get healthy, why do you have to go there? So, for you, okay, "I have to do all the other things. I need to make sure my vitamin B level is high/normal 'cause that will also help your bones. I need to make sure I'm exercising. I don't carry extra fat. I'm doing new learning. The food I eat is as clean as it can be," and you do all the other things that you can because it also decreases your risk for cancer and can help save your brain. So, I don't want anybody to think, "Oh, if I don't do this one thing, I can't be healthy because it's not about one thing. It's about all of the things and if you can't do that one, make sure you're doing the rest of them. Donny Osmond:	Thanks for listening to today's show, The Brain Warrior's Way. Why don't you head over to brainwarriorswaypodcast.com. That's brainwarriorswaypodcast.com, where Daniel and Tana have a gift for you just for subscribing to the show. And when you post your review on iTunes, you'll be entered into a drawing where you can win a VIP visit to one of the Amen clinics. I'm Donny Osmond and I invite you to step up your brain game by joining us in the next episode.